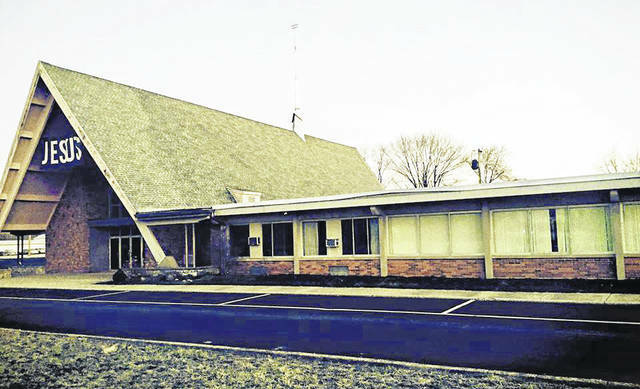 The Vandalia City Council approved a series of re-plats and rezonings for Hopeland Church on Miller Lane on Monday evening. VANDALIA — The City of Vandalia passed its 2019 budget on Monday night with some potential large capital projects slated for 2019. Overall, the city estimates revenue across all funds to be $43.8 million with expenses estimated at $44.8 million. That deficit is due to a pair of road projects that have grant applications pending according to Finance Director Bridgette Leiter. She said he city must show the expenses as being appropriated but no revenue source is offsetting the expense until the city finds out the status of the grants. “If the grant isn’t approved, or only part of it, it may be some combination of grant and loan,” said Leiter. Revenue and appropriation budgets are frequently altered throughout the year due to unexpected expenses or revenue being higher or lower than expected. The council also declined to request an Ohio Department of Liquor hearing for a change of corporate stock at the Rube Tuesday restaurant on Miller Lane. Council also approved a re-plat and rezoning of two properties – 3131 Stop Eight Road and 6025 Miller Lane – owned by Hopeland Church. The re-plat combined the two properties into one 9.044 acre lot while the rezoning changed the property from Residential Single Family 1 to Highway Business. The Planning Commission had approved both changes 4-0 in August. Finally, council narrowly approved a variance at 268 Allanhurst Ave. to permit a 6-foot wood fence with the supporting posts on the outside of the fence. The applicant had received a permit that said the posts must be on the inside of the fence, but the fence was constructed adjacent to a neighbors’ fence with a 2-3 foot separation. The Board of Zoning Appeals voted 3-1 to recommend approval, but some members of council weren’t sold. The measure passed 4-3 with Council Members Dave Lewis, Bob Ahlers, Dave Gerhard, and Mike Blakesly voting yes and Mayor Arlene Setzer, Vice Mayor Richard Herbst, and Council Member Candice Farst voting no. The Vandalia City Council will hold its next regular meeting on Monday, November 19 at 7 p.m. in the council chambers. A study session will be held immediately prior to the meeting in the large conference room. Both meetings are open to the public.